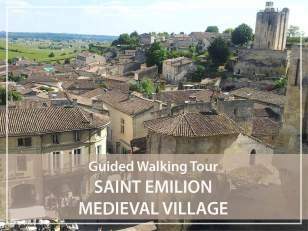 Walking guided tour in the medieval village of Saint Emilion: travel back into the time and let yourself be enchanted by the cobbles and narrows streets of the medieval city. Why chosing to visit the village of Saint-Emilion? As soon as you enter the village, you will be amazed by the remains of the "Great Walls" or those of the Cardinal Palace. Immerse yourself in the history of a village that was built around a pilgrimage spot long before it became a capital of wine. 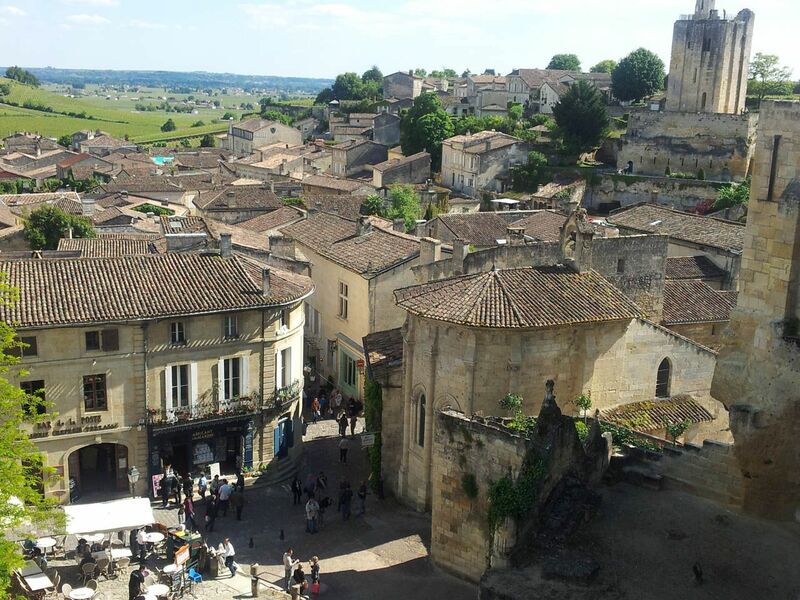 Originally, Saint Emilion is a medieval town built on a rocky promontory around a legendary ermitage linked to the history of a Benedictine monk called Emilion, living in the 8th century, after whom the village has been renamed! The small town of Saint-Emilion is a jewel. Did you know that it has been listed on UNESCO's World Heritage List since 1999? But an exceptional thing, it is not only the buildings of the city on which UNESCO has focused its interest, it is the landscape including the 5,000 hectares vineyards which has been considered as a "cultural landscape". Don't follow the tourist cohort... Of course, you are part of the million visitors who visit the narrow streets of the medieval city every year, but you are different: you will choose to let yourself be impregnated by the special atmosphere that reigns in the village of Saint Emilion! At each corner of the street, the building is a remaining landmark of the artistic, spiritual and commercial abundance of the city in the Middle Ages. The story is everywhere around you if you let your eyes wander. 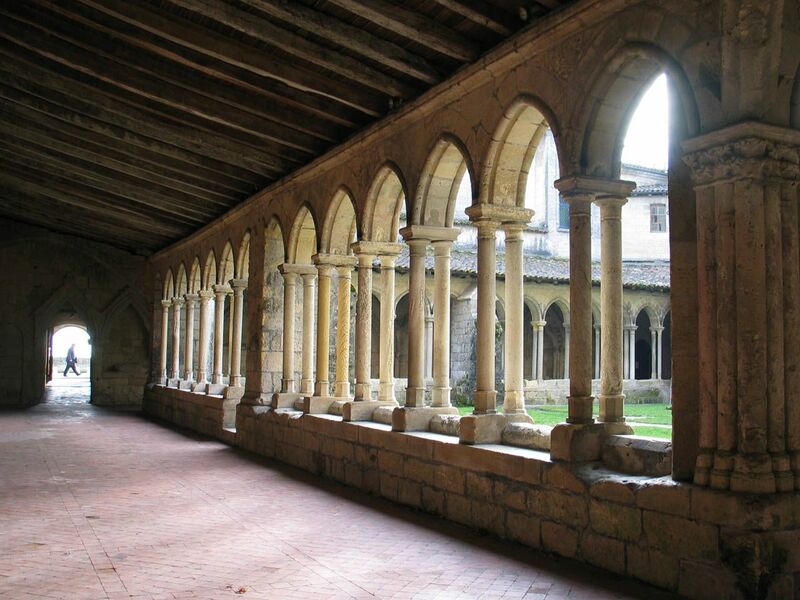 From the spirituality of the collegiate church to the romanticism of the ruins of the cloister of the Cordeliers, all here reflects the spiritual fervour that animated the city centuries ago. Travel back into time with me along a guided tour through the steep streets that we call "tertres", at the foot of the "Tour du Roy" and along the powerful ramparts of the city that largely remain. If you wish, our visit will take us under the village. Of course, I will be pleased to book for you the entrance of the underground monuments linked to the history of the pilgrimage to Santiago de Compostela, the pilgrims coming here to pray in front of the monk Emilion relics : enter through the galleries of catacombs in the largest monolithic church of Europe, dug out of the rock between the XIth and XIIIth centuries! Come discover and take the time to taste the local speciality: Macaron de Saint Emilion!